Provide comfort for the family of Julie Pickel with a meaningful gesture of sympathy. Julie A. Pickel, 58, of Pahrump, Nevada, formerly of Kieler, Wisconsin, died Saturday, March 16, 2019, at Wm. S. Middleton Memorial Veterans Hospital in Madison. 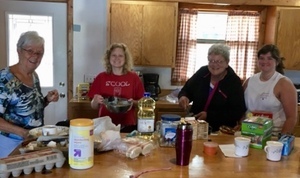 Services will be 10:30 a.m. Friday, March 22, 2019, at Immaculate Conception Church in Kieler with Rev. Bernard Rott, Rev. Randy Timmerman and Deacon Larry Tranel officiating. Burial will be in the church cemetery. Friends may call from 3-7 p.m. Thursday at the Immaculate Conception Parish Center where the parish wake service will be at 6:30 p.m. Friends may also call from 9:15-10:15 a.m. Friday at the church before the service. Julie was born on June 25, 1960, in Dubuque, Iowa, the daughter of Kenneth J. "Kenny" and Berneice (Langmeier) Pickel. Once she graduated high school, Julie expressed an interest in joining the U.S. Military and serving in the Army. She retired from the Army in June of 1998 after receiving full retirement benefits. During her military tenure she spent a significant amount of time in Germany where she was able to experience the chaos and excitement that came with the infamous, “Fall of the Berlin Wall”. 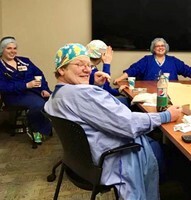 She then returned to Madison to work at UW Hospital and Clinics as an operating room technician where she aided surgeons by giving them the necessary operating tools during procedures. In her time in Madison she always made a point to make the hour and a half drive to Kieler, Wisconsin, to visit her parents and her family. While her youngest brother was not based in the Wisconsin area, she always would contact him and his family at least once a week as well as her adopted army family. 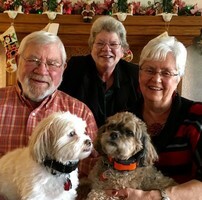 Julie’s immediate kin consisted of several pairs of dogs throughout the years, some of the most notable being Fluff and Rambo, and the current Tucker and Buddy. Besides her love for her K-9 pets, which she called “The Boys”, she had a fierce and undying love for her four nieces and two nephews. At least once a year she would gather all six of them together and host the long anticipated “Niece and Nephew Night”. “Niece and Nephew Night” entailed a wide variety of activities with all the kids and Julie together that ranged from going bowling, skating, seeing movies, and playing long hours of cards, and other party games. She hosted a very similar event with her cousins on Christmas Eve where all of them would get together and have dinner. After her time in Madison she fled the cold weather, calling herself a snowbird (one who retires away from snow), and moved to Pahrump Nevada, a place less than an hour away from Las Vegas. During retirement Julie made many friends with neighbors and engaged in activities such as water aerobics and annual card meetings. In January she sadly learned that she had pancreatic cancer. She swiftly made the journey back home to Wisconsin and began treatment. After moves from the U.S.A. to Germany and back, then from Wisconsin to Nevada, and back as well, Julie’s final move, occurred on March 16, where she entered the gates of Heaven. Survivors include her parents, Kenny and Berneice Pickel, of Kieler; her siblings, Jim (Jane) Pickel, of Kieler, Joe (Lori) Pickel, of Arlington, Virginia, and Jenny (John) Brosius, of Kieler; her nieces and nephews, Jessica, Blake, Erica, Gabrielle, Lexi, Gage, and her one and only godson, Joey; a good friend, Alice Lubers, of Pahrump, Nevada; and her dogs, also known as the boys, Tucker and Buddy. To send flowers in memory of Julie A. Pickel, please visit our Heartfelt Sympathies Store. The parish wake service will be at 6:30 p.m. Friends may also call from 9:15-10:15 a.m. Friday at the church before the service. The class of 1978 & Terry & Barb Temperly and God Bless. 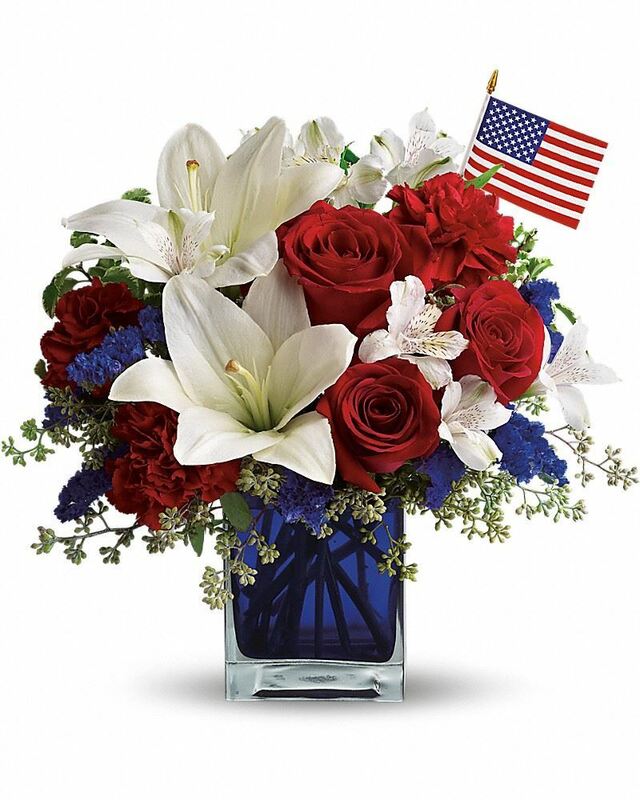 Pahrump Nevada Veterans have sent flowers to the family of Julie A. Pickel. This tree planted to honor Julie Pickel. May the roots grow deep as her love for family and the branches strong as her passions in life. Sending our love to Kenny and Bernice and family. The class of 1978 & Terry & Barb Temperly purchased flowers for the family of Julie Pickel.